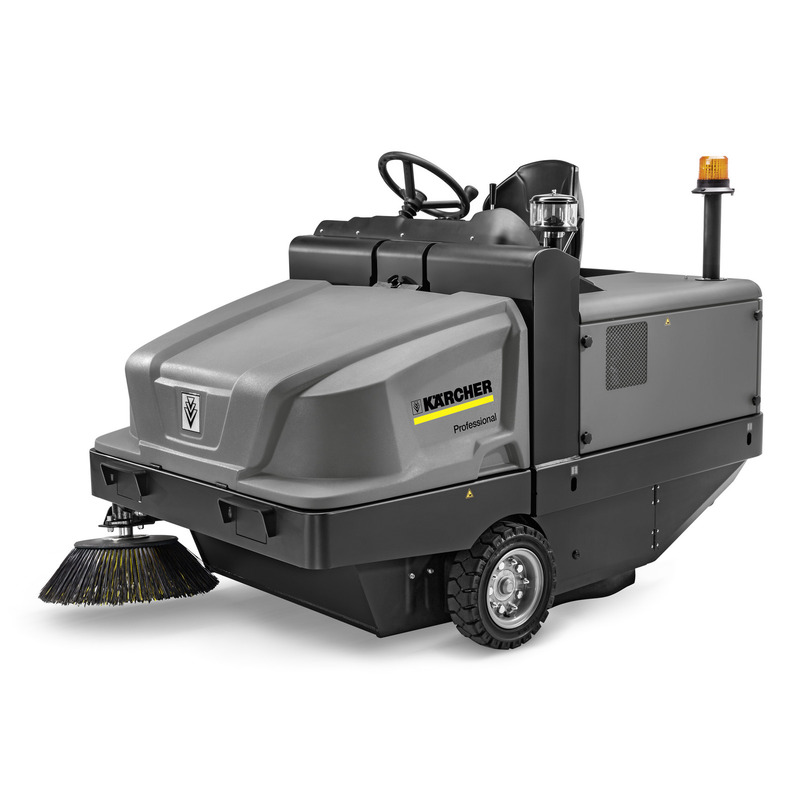 KM 120/250 R Bp Pack Classic 11860030 https://www.kaercher.com/tn/professional/sweepers-and-vacuum-sweepers/industrial-sweepers/km-120-250-r-bp-pack-classic-11860030.html With batteries as standard: the battery-powered KM 120/250 R Bp Pack Classic industrial sweeper with high area performance for emission-free applications in noise-sensitive areas. With batteries as standard: the battery-powered KM 120/250 R Bp Pack Classic industrial sweeper with high area performance for emission-free applications in noise-sensitive areas. From the outset, our KM 120/250 R Bp Pack Classic industrial sweeper features everything construction companies, the metalworking industry and foundries value: a robust design for tough applications in dusty environments, an emission-free, electric drive and even batteries are already included in the scope of supply. In addition, the machine is so quiet that it is also perfect for use in noise-sensitive inside and outside areas. The innovative Flexible Footprint System ensures optimum cleaning results, whereby the brushes are optimally adapted to the relevant surface. Coarse and fine waste is reliably removed and taken away to the large waste container with hydraulic high container emptying, while the resistant pocket filter is reliably cleaned using a vibration motor. Other practical features such as the resistant solid rubber tyres round off the sophisticated overall package.